The Washington DC based Council for a Livable World has been financing and lobbying pro-disarmament U.S. lawmakers since its foundation in 1962. Founded by Manhattan Project nuclear scientist, leftist and alleged Soviet agent Leo Szilard and led by leftists such as Jerome Grossman and more lately David Bonior, C.L.W. has been instrumental in every step of America's march to national defense meltdown. The C.L.W. has funded hundreds of U.S. Senators and Congressmen in its history, almost all Democrats, with a sprinkling (mainly in the early days) of leftist Republicans. Leo Szilard founded C.L.W. originally to support pro-disarmament Senators. He reasoned that as even sparsely populated states have two Senators, he could buy the most influence, for the least outlay, by funding leftist Senate candidates from small states. C.L.W. 's long time CEO Jerome Grossman claims that by funding Senators at the beginning of their careers, the Council for a Livable World was able to influence them later when needed. 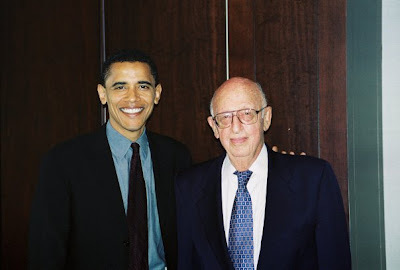 Jerome Grossman even claimed he was able to influence Democratic Senator George Mitchell to campaign against President President Bush on the B-2 Bomber project. Though by 1996 Grossman was no longer involved in the day to running at C.L.W. he still claimed considerable influence in Washington DC. I go to Washington for three days every month. Last time I was there, I saw a few Senators, a few members of the House of Representatives. And I also went in the Pentagon because the Pentagon is now doing another bottom-up review before they put their budget in. Because their budget now is based on fighting two regional wars simultaneously. So they’re going through the motions––well, I’m being unfair. They’re re-studying it, all right. While I was there I went in to see if I could have some input. I have had input. Grossman also claimed some "pull" with President Clinton's leftist Secretary of Defense Les Aspin and stated that he had tried to promote another leftist colleague, - Kosta Tsipis, into an influential position. Grossman also "conspired" with State Department officials to help the passing of a controversial Chemical Weapons Treaty. The C.L.W. 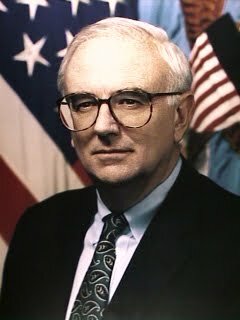 's February 1982 fund-raising appeal commenced with a letter entitled, "The Reagan Administration is launching a massive escalation of the nuclear arms race", signed by George Kistiakowsky, chief science adviser to President Eisenhower. The letter stated that the C.L.W. 's chief targets were the MX missile and B-1 bomber, and stated, "We're on Capitol Hill every day, working to reestablish arms control talks, fighting the proliferation of nuclear weapons, lobbying for nuclear arms control agreements." CLW also targeted U.S. chemical weapons funding and campaigning for across-the-board defense cuts, with a "media blitz" slated for late May when the Senate would be considering the chemical weapons issue. Just who has C.L.W. financed and presumably "influenced" over the years? There is one more name worth mentioning. The Council for a Livable World also backed Barack Obama. Jerome Grossman apparently knew Barack Obama way before his 2004 Senate race, as this 1994 photo attests. Barack Obama was closely associated with Chicago Democratic Socialists of America. Jerome Grossman was close to Boston Democratic Socialists of America. Perhaps the two met through mutual "comrades" while Obama was studying at Boston's Harvard University in the early 1990s? Did Jerome Grossman, or C.L.W. ever influence Obama, who has proved to be one of the most pro-disarmament presidents in U.S. history? Is Barack Obama C.L.W's greatest "investment" yet? How much of a role has C.L.W. money played in U.S. disarmament policy over the last 40 plus years? 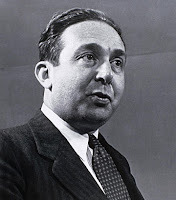 How much influence did Leo Szilard's Council for a Livable World have in tilting U.S. defense policy in favor of the his alleged Soviet masters? Judging by the "caliber" of the people on C.L.W. 's endorsed-candidates list, perhaps more than most American voters would realize.